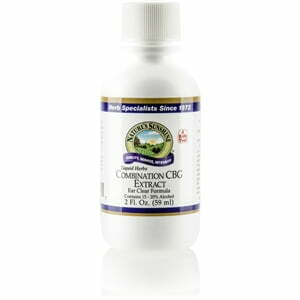 Nature’s Sunshine CBG Extract is a special formula that nourishes the immune system. 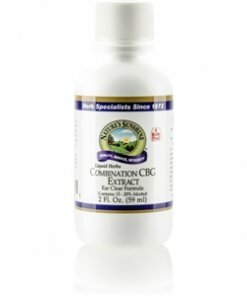 In a process called the spagyric process, the raw herbs included in the formula are soaked in natural solution before the plant fiber is removed and reduced to ash.The liquid and ash are later combined into CBG extract, along with alcohol which preserves the active ingredients. Instructions: Adults: Take 1/2 teaspoon (2.5 ml) three times daily with water. --Children: Take 1/4 teaspoon (1.25 ml) three times daily with water. This product may also be used as a mouthwash; mix 1 teaspoon (5 ml) with water. A natural and pure extract composed of the finest black cohosh root (Cimicifuga racemosa), chickweed aerial parts (Stellaria media), golden seal root (Hydrastis canadensis), passion flower aerial parts (Passiflora incarnata), licorice root (Glycyrrhiza glabra), and valerian root (Valeriana officinalis) (with water and alcohol).